Ring Video Doorbell Pro Review – I loved the original Video Doorbell from Ring. It does not just add a nice flavour to a doorbell, but increases security as well. It can detect motion and record the clip at the same time. When someone rings your doorbell, you’ll also get a notification and can even answer where ever you are with your phone. 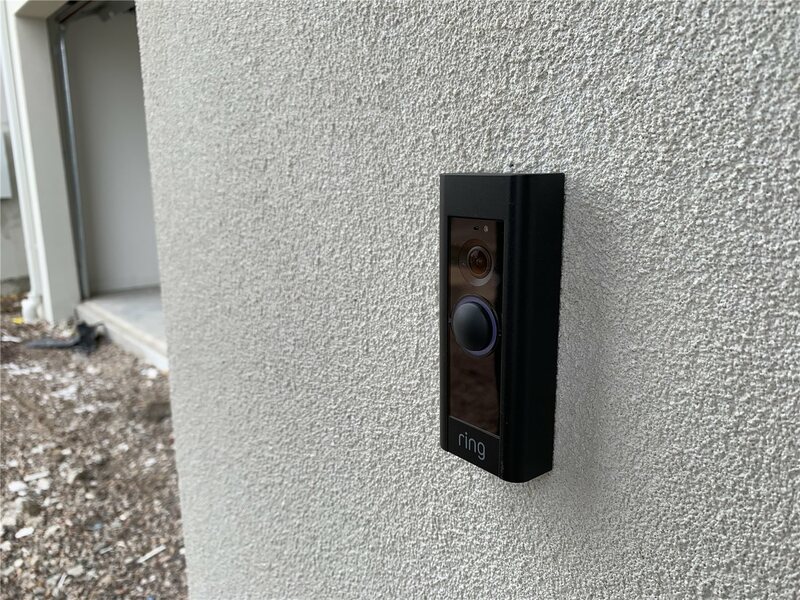 The Video Doorbell Pro, comes with even more advanced features and can be hardwired to an existing doorbell wiring so you don’t have to ever charge it, ever. This means you can always check a live video feed with your phone and records every motion without worrying about battery life. There are tons of things included inside the packaging for both self-installation and optional, interchangeable faceplates to match the style of your home. Should you ever get bored of a faceplate colour someday, you can easily change it to a different one with ease. My existing doorbell pre-wiring was not in the best position sadly (blame it to the builder) – it sits behind my house pillar and is not placed high enough. 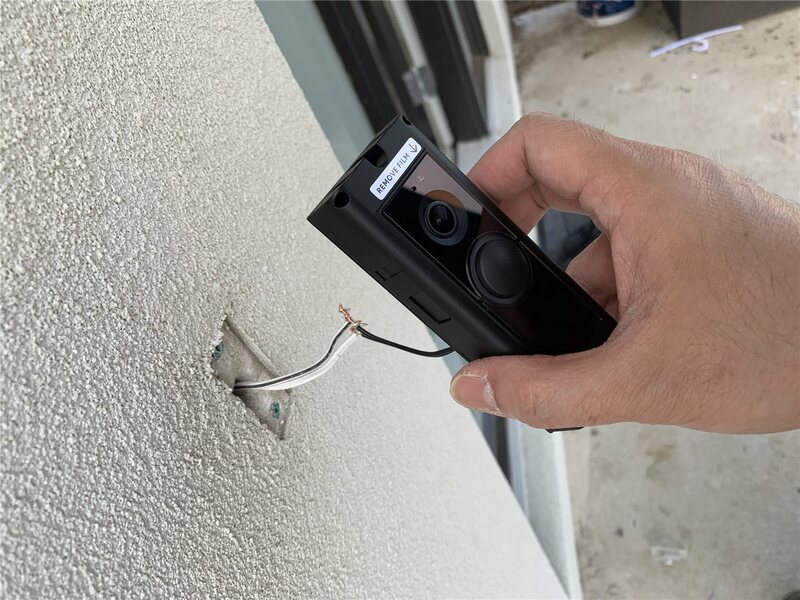 This is not ideal, but thankfully Doorbell Pro’s wide angle lens (160 degrees) can capture more than I wouldn’t expect it to at such a bad position. Ring Chime Pro is included in the packaging, which works as a chime/alert inside the house but also works as a network extender for all your Ring devices. I have two and they all work together, which is pretty awesome. 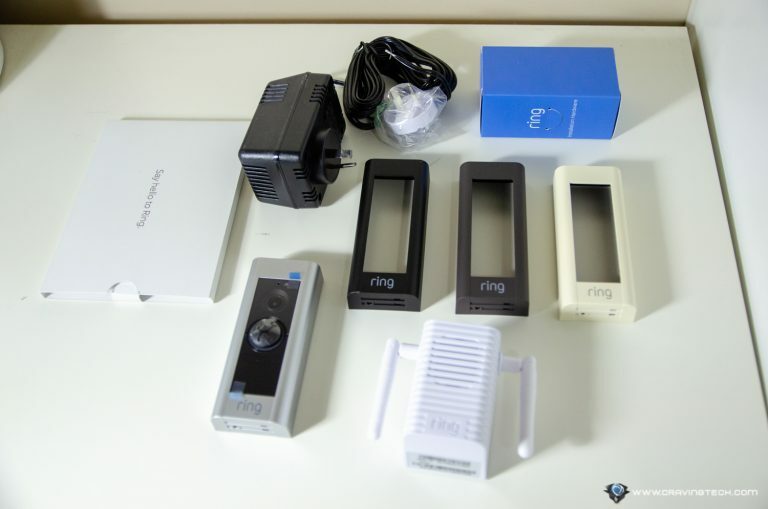 Ring Video Doorbell Pro requires an existing doorbell pre-wiring (which my new house has) and there is a step-by-step video guide about how to install the Video Doorbell Pro on the Ring’s website. The installation video was clear and didn’t take me too long to set it all up. 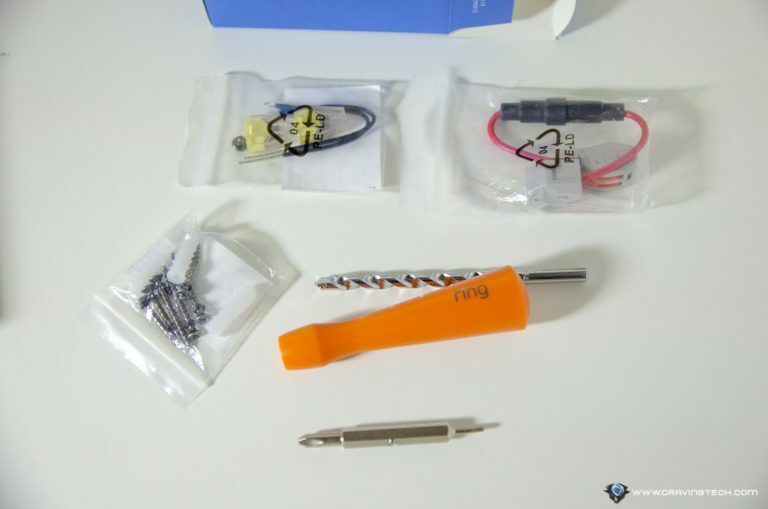 I’m not a handy person and I’m normally scared about having to install or tinker with these stuffs. Thankfully, I had it all up and running without any issues. I did use a drill to keep the body in place on on the front wall. With a slimmer and more compact design thanthe original Ring Video Doorbell, Video Doorbell Pro looks really stylish (this is because it does not have any bulky batteries inside). It has a clean and minimalist look, with the doorbell button being the center of the attention. 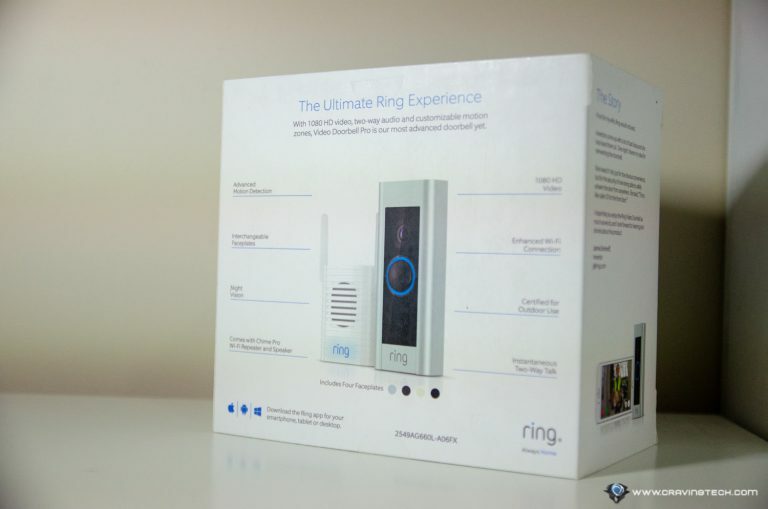 Once the button is pressed, your guest will hear a tune (that you can set) and you will be notified through the Ring app on your smartphone plus on all Ring Chimes you have inside. You can quickly tap on the notification directly to see who’s ringing your doorbell, and then talk to him/her (i.e 2-way conversation). The sound is clear and the video is clear enough that I could see who it was, even during night time. And as I mentioned, despite of the weird placement angle, Video Doorbell Pro still works great. If you turn the motion detection on, you’ll be notified even before someone rings the doorbell. This transforms Ring Video Doorbell Pro into a security camera with motion detection. As soon as it detects movement, you can quickly see who it is and hopefully, prevents a stranger from lurking around your home or door. You can also scare them away if a burglar is going to try breaking your front door. Motion zones can be set to make sure that it only detects motion within your fence boundaries (to reduce false alarms and the amount of notifications you receive). There’s a pillar in front of the doorbell pre-wiring, so unfortunately I don’t get a clear, full view of my front yard. But the motion zones setup is very flexible that I can accurately create the zones I want it to monitor (so that it can exclude the pedestrian path in front of the house). If you get too any alerts (from tree leaves being blown by the wind, or by swaying trees), you can set the Motion Sensitivity to detect “People Only” (which is my setting at the moment) and it seems to work well so far. Rules can be set as well to disable motion alerts during specific day and time. Or if you are having many guests coming, you can snooze the motion alerts for 15 minutes, an hour, etc. The Video Doorbell Pro also pre-buffers, so when someone rings, it also stores seconds before the person rang the door bell on the stored clips. Live View is available any time through the app and you can also check your Events History (requires a Ring Protect Plan), which you can then share to others. Sharing is very simple as Ring gives you a unique link that you can share to a friend or even publicly to see a specific recording. It’s handy to be given to the authorities or your insurance company too, should the need arise. 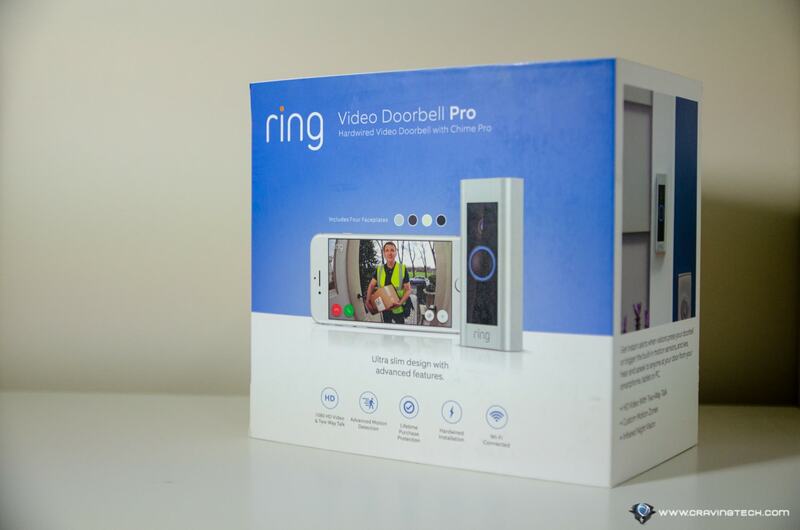 Ring Video Doorbell Pro is a must have on any house, especially if you care about security. Convenience wise, you can answer a doorbell where ever you are in the world so you can direct a courier to place the package in front of the door, or to ask a guest to wait while you are in the shower or toilet. If you see a stranger, answering with the phone is also safer than opening the door and talk to him/her directly. 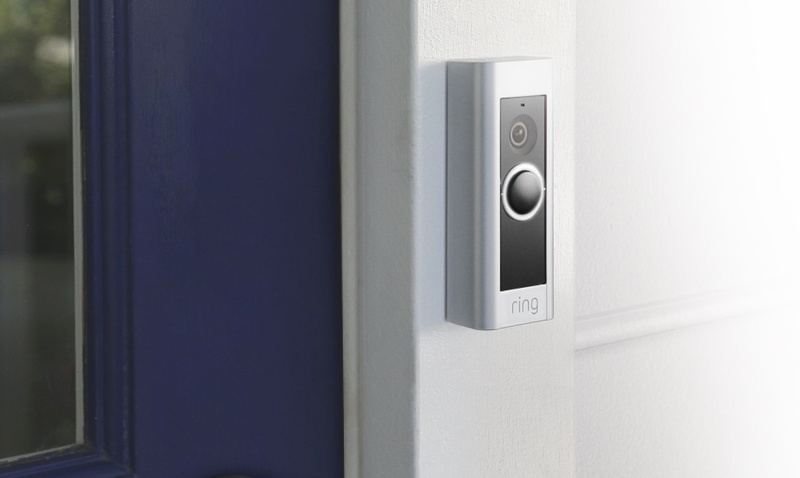 With motion detection, alerts, and live view features, Ring Video Doorbell Pro is not just another doorbell. It’s also a security camera that you can check anytime during the day and will record all motion events (and doorbell presses) into the cloud. I have local IP cameras around the house but a burglar can come in and wreck the hard drive, removing all evidence. 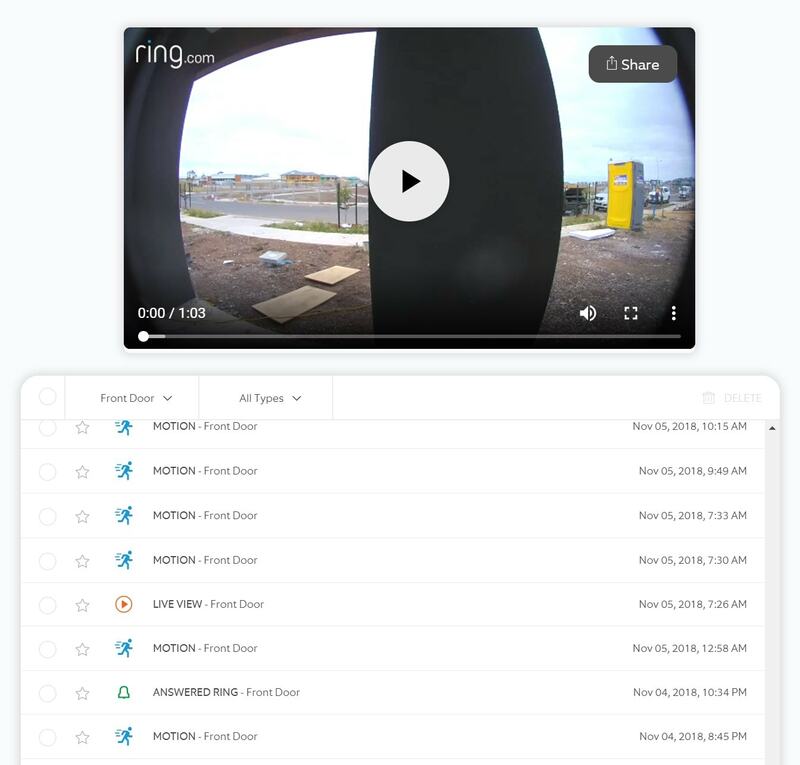 However, with Ring Video Doorbell Pro (and the Spotlight Cam Battery which I’m reviewing next) that store the video clips in the cloud, you’ll always get the evidence you need (though clip recordings require a Ring monthly subscription plan). 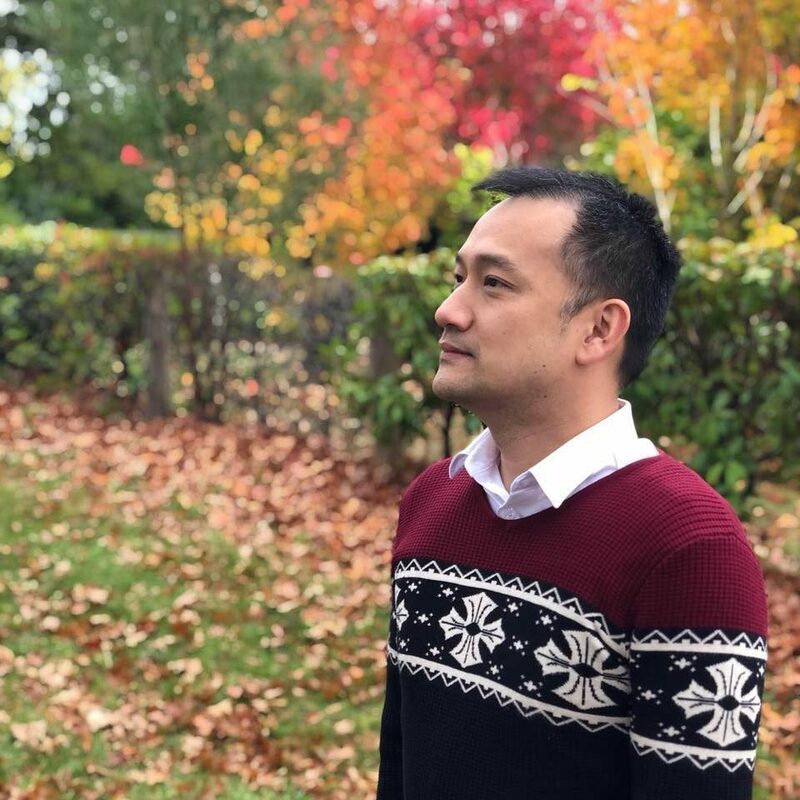 If Ring can somewhat give at least a free 7-day recording like what NETGEAR Arlo offers (or even a 3-day), I’m sure it will be even more popular with consumers. At the moment, it’s offering a 30-day trial.